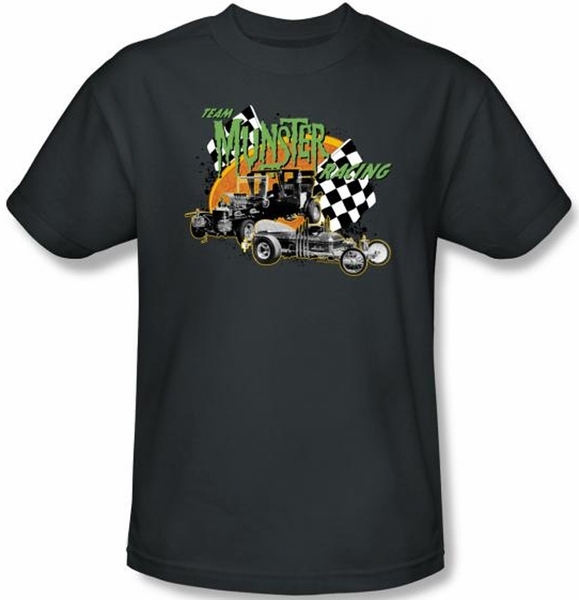 This Munsters T-shirt features Team Munster Racing with racing flags and cars in the background. Our Munsters T-shirt is an incredible 100% preshrunk cotton t-shirt for anyone who supports The Munsters. 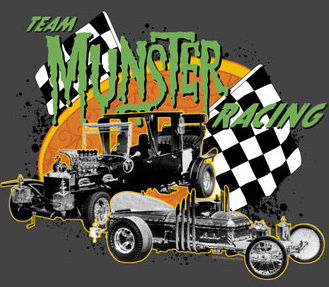 The Munsters is a 1960s American family television sitcom.